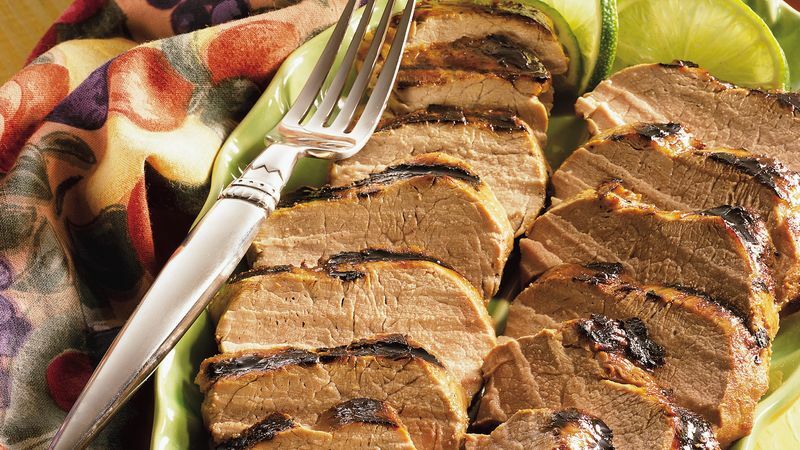 Cut each pork tenderloin in half lengthwise, cutting to but not through bottom; open and flatten. Place tenderloins in large resealable food-storage plastic bag or shallow nonmetal dish. In small bowl, mix remaining ingredients until blended. Pour over tenderloins; turn to coat. Seal bag or cover dish; let stand at room temperature 10 minutes to marinate. Line 13x9-inch pan with foil. Place tenderloins, cut side up, in pan. Broil with tops 4 to 6 inches from heat 12 to 15 minutes or until pork is no longer pink in center, turning once. Cut into serving-sized pieces.